This large steel trough is zinc galvanized for a rust resistant finish. 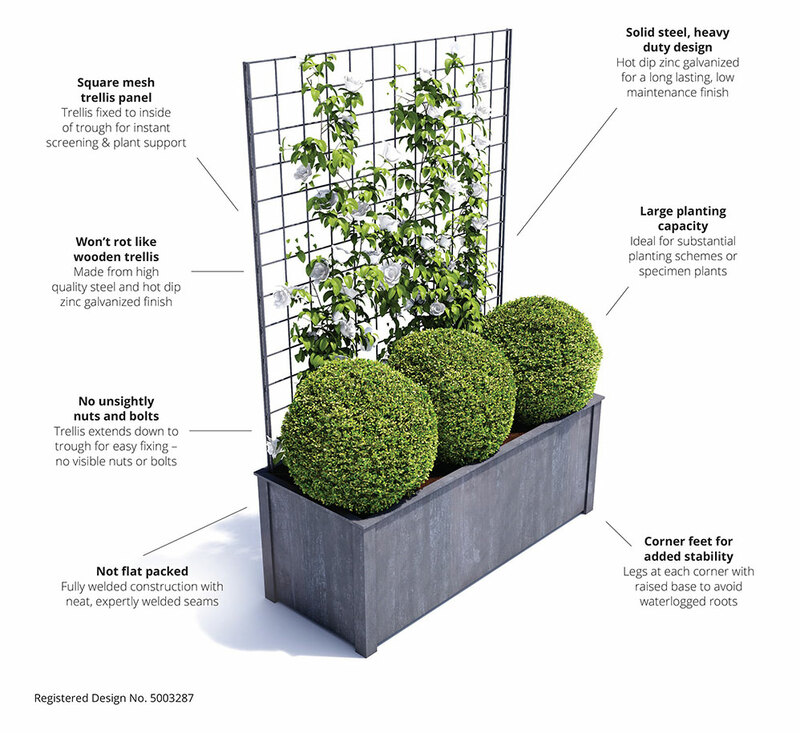 The trellis panel is fitted inside the planter at the back to provide an instant screen and support for climbing plants. 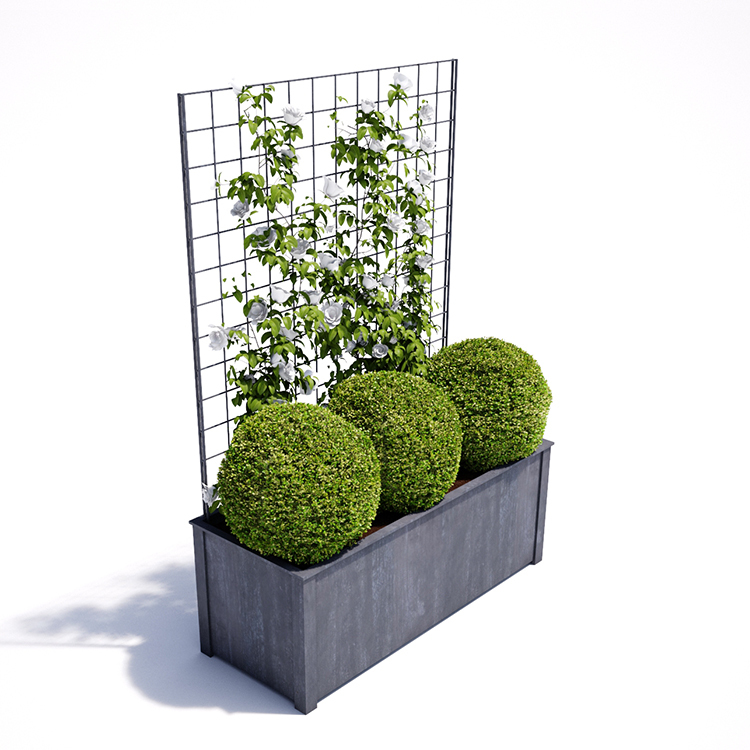 A perfect solution for large shrubs or mature evergreen climbers, this garden planter is a heavy duty, fully welded structure – use alone or as a series to define an area.